Whether you live on a farm or in the city, are a history lover or a hiker, or simply want to drink pure water straight from the tap, the land you live on and around shapes your life. When we conserve land, we invest in our quality of life. 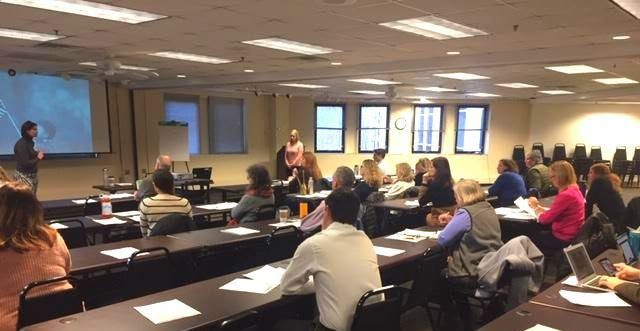 Last week, representatives of land trusts and other conservation organizations in Maryland met for the first in a series of intensive training sessions on communicating the values of land conservation. The half day workshop engaged participants with a narrative for land conservation centered on quality of life, and in applying it through specific messaging strategies. The workshops are the result of a new initiative by the Chesapeake Conservation Partnership with the Appalachian Trail Landscape Partnership to assist their members in building and sustaining support for land conservation in the Chesapeake Bay watershed. The Eastern Shore Land Conservancy is also supporting the initiative. Presented by Spitfire Strategies, the workshops get conservationists directly involved in practicing messaging. “The land trust community really has needed this training” said one participant. “Wow. I have never done an elevator speech and now I see the many ways it can be used. Very cool,” said another. Additional sessions are scheduled for March 5 at a meeting of Virginia United Land Trusts and May 17 at the Pennsylvania Land Conservation Conference.